A cable repairman looking to relieve himself by the side of the road in Northern California discovered the decomposing body of a man who had been hanging from a tree for about three weeks, authorities said on Friday. LOS ANGELES — A cable repairman looking to relieve himself by the side of the road in Northern California discovered the decomposing body of a man who had been hanging from a tree for about three weeks, authorities said on Friday. 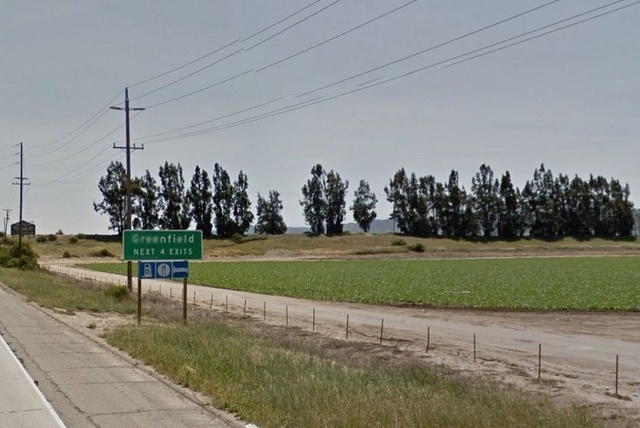 The apparent suicide victim was found in a grove of trees near a freeway off ramp in the community of Greenfield on Thursday, Monterey County sheriff’s spokesman John Thornburg said. “The estimate is he hung himself out there about three weeks ago and nobody saw it until the cable repair guy went over there to use the restroom and saw him hanging there,” Thornburg said. He said coroner’s examiners were working to identify the man, formally establish a cause of death and notify his next of kin. The victim was believed to be a local man. Greenfield is in an agricultural area about 40 miles southeast of Monterey.